The EA Management Program: From the perspective of a Coherency Architect. Enterprise Architecture is dealing with configuring many different components of an organization (Bernard) and these components can rarely be configured properly through a big bang change as a project would usually be. A program can be defined as a series of projects that will change different components in a evolutionary approach. Since Enterprise Architecture and Coherency Management is dealing with more than people then it the changes can’t be implemented with a big bang approach since it will either fail by the people will go back to the old way of doing things or they will be overworked in changes (of which John P. Kotter has written the book titled “Creating the Sense of Urgency”). Therefore should the Coherency Architect work with establishing a so called Enterprise Architecture Program (EA Program) or more advanced a Coherency Architecture Program. The difference between the two types of programs are that organizations that works with the Coherency Architecture program can be identified as having an Enterprise Architecture titled as “Extended Architecture” and above. First of all the Coherency Architect needs to identify the AS – IS Enterprise Architecture to understand the enterprise architecture as it current is. When the Enterprise Architecture has been investigated and a significant overview has been created then the Coherency Architect should develop a transition plan. The transition plan that is known as the Enterprise Architecture Management Plan. The plan is foremost a documentation method. The plan is the transition between from the ”AS IS” (the current state) to AS IS (the future state). This means that the organization needs to launch a series of projects that enables clarifies the business processes (business architecture, the information systems and data needs (the information architecture) and how the various technical platforms operates and interacts (technical architecture). If the organization chooses to apply Bernard’s EA3 Cube as the preferable EA approach to document the “AS IS” state for the Enterprise Architecture then the Enterprise Architects have to investigate the five levels from a top down approach. The first level is the goals and initiatives, the second layer is products and services, the third layer deals with data and information, the fourth layer deals with systems and application and the fifth layer deals with network and infrastructure. The documentation process is often costly and it takes time; however by investigating the Enterprise Architecture then the architects can aide the top management of the organization by identifying gaps and potentially inefficient processes and systems that needs to be replaced or upgraded. When the gaps have been identified and the top management has given its permission to initiate the the transformation then the EA program can be established. The program can be defined as a set of projects that all have that in common that they deal with components of the Enterprise Architecture. For that it is necessary to understand how the EA related projects are to be defined. The projects are usually strategic and the outcome of the projects impacts either the business architecture, the information architecture, the application architecture and the technological architecture or all of them. An example of such a project is the implementation of a new ERP software application or implementation of a new project management flow system. The two mentioned projects have an impact on their respective architectures; however if they are implemented the proper way where the business processes are re-defined then they will impact all the architectures (for that principles needs to be articulated). These projects needs to be evaluated to identify how they contribute to the transformation of the Enterprise Architecture. In this process it is notable that the projects shouldn’t entirely be evaluated on economic costs and benefits (TCO and ROI) but also on how the projects enable the organization to accomplish its visions. The EA management plan needs to be taken into consideration when organization begins to achieve success so management is able to react to potential gaps there might be in the organization. In the same time there will be a need for the Enterprise Architecture Management Plan to obtain knowledge of ways to innovate the organization and enhance its ability to develop new products and services if not to mention compete for market share or resources. Previous Tools for Strategic Evaluation: Tools and Methods the Coherency Architect should Apply. 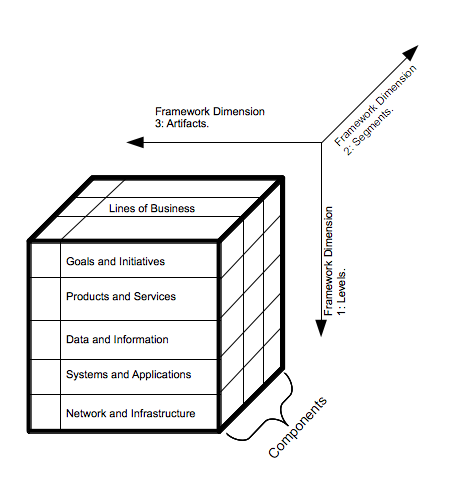 Next Economic Perspectives of Enterprise Architecture: Four perspectives the Coherency Architect Should be Aware of!